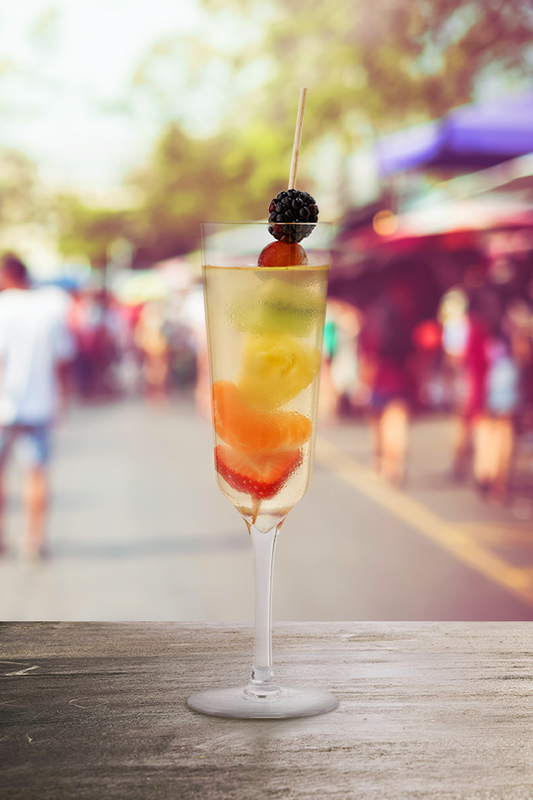 Mix things up with our Pride Punch featuring our lovely Chardonnay. Celebrate inclusivity with this delicious cocktail at your local pride or at home with your friends. Easy to make and perfect to share for any summer occasions. Cut fruit into ½ inch pieces. Layer each several pieces of each fruit in order as given in the recipe. Place all liquids in a cocktail shaker with ice. Strain into prepared glass with layered fruits.